Dimensions 1 by 5.75 by 8.50 in. Ten years after Cluetrain's original publication, too many companies still ignore the idea that markets are really made up of people. In our rapidly changing world, this book's message is more vital than ever. Companies may be wired for business, but they still struggle with how to talk to their customers like human beings.The 10th Anniversary Edition features extensive new commentaries by industry leaders, but the core message of this modern business classic remains intact. 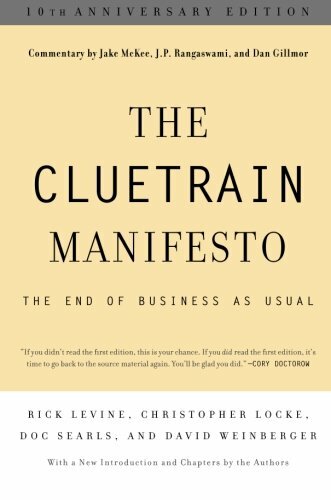 About: The Cluetrain Manifesto began as a Web site (cluetrain. About: Ten years after Cluetrain's original publication, too many companies still ignore the idea that markets are really made up of people.